Jennifer Tanabe is New World Encyclopedia's Social Sciences editor. Dr. Tanabe obtained both her Bachelors (1974) and Doctoral (1978) degrees from the University of Edinburgh in Scotland. Her doctoral work was in Developmental Psychology. She was a postdoctoral fellow at the University of Minnesota's Institute of Child Development in 1978-1979. She has taught graduate level courses in Cognitive, Moral, Religious and Social Development, Unification Philosophy, and Television Ministry. Dr. Tanabe currently works as a freelance editor and writer. 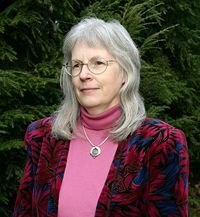 Her recent work includes serving as book review editor for the Interreligious and International Federation for World Peace's periodical Dialogue & Alliance; serving the International Educational Foundation as a researcher, writer, and editor; and as an educational consultant for Outcomes Assessment for the Unification Theological Seminary in Barrytown, NY. Her publications include Contemplating Unification Thought, The Ideal Family to Be or Not to Be: Testimonies of a Life of Faith, Let Us Work Together for Good: David S.C. Kim's Life of Service to God, The Words of David S.C. Kim: Let Us Learn from the Past, and The Crucial Challenge for International Aid: Making the Donor-Recipient Relationship Work to Prevent Catastrophe (co-authored with Mirek Karaek). This page was last modified on 2 August 2015, at 22:06.